The Advisory Council of YouthSquared made a big effort to raise awareness of Injury Prevention and was able to raise $2,191.61 towards increasing educational efforts o reduce child injuries. YouthSquared was able to put together Injury Prevention packets to give out to all elementary, middle and high school nurses of Saratoga County. 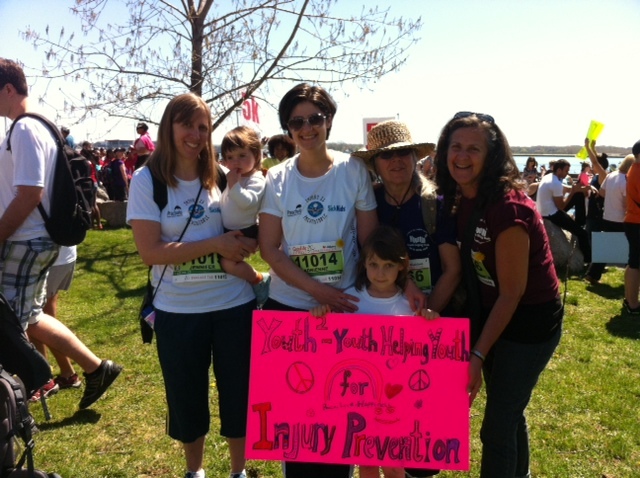 Representatives of YouthSquared walked with a team of doctors, nurses, researchers and community advocates of the Hospital for Sick Children, Toronto, Canada.